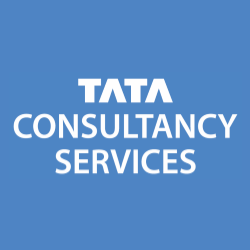 Mumbai: Tata Consultancy Services (TCS), (BSE: 532540, NSE: TCS), a leading IT services, consulting and business solutions organisation, announced that its customer, Bank Yahav, is successfully operational with the TCS BaNCS Universal Banking platform, in a first of its kind for the Israeli market. In 2014, Bank Yahav selected TCS as a partner to modernise its banking technology with a view to adopt global standards in operations and processes. TCS established a robust IT infrastructure and banking application landscape to the exacting standards of the bank and the regulators. 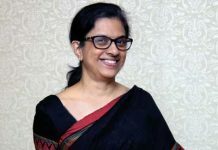 The solution, centred on TCS BaNCS, is hosted and integrated with the local payments infrastructure, ATM / PoS network, and with connectivity to the Tel Aviv Stock Exchange, among others. Eyal Moskal, country manager, TCS Israel, commented, “The successful deployment at Bank Yahav is a reflection of our deep commitment to the Israeli market and is an important milestone in our journey in Israel. The breadth of the solutions provided by TCS demonstrates our capability to provide an integrated, end-to-end offering to our customers across solutions, platforms and services”. The TCS solution used by the bank across the front, mid and back-office operations as well the bank’s independent financial adviser (IFA) network, supports all the needs of the Israeli market across banking, securities and payments with comprehensive advisory and portfolio management services and complying with over 1,500 regulatory provisions. The project involved delivery and deployment of over 500 interfaces into a complex ecosystem with TCS BaNCS, including a few local applications.